Just a few months ago, an inside source at Audi told us that the A6 and RS6 Avant models would be coming to the US market by 2020. This was big news, as US enthusiasts have spent years watching Europeans enjoy awesome luxury wagons from Audi, especially the high-performance RS6. It seems as though our inside tip was correct because Audi has just sent out a teaser for new Avant models on its Twitter account. The tweet shows a circle of candles with the words "Avants in the US" positioned in the middle along with the caption "summoning circle, hope this works." Audi didn't mention any specific models, so it's unclear which wagons the US will get. As of now, the A4 Allroad is the only wagon model sold in the US, though it doesn't really count because Audi markets it more as a crossover. Our source said both the A6 and RS6 would be coming to the US in regular wagon form, not as lifted Allroad models. 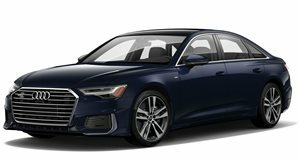 The A6 Avant will likely be powered by the same 3.0-liter turbocharged mild hybrid V6 with 335 horsepower sending power through a seven-speed dual-clutch automatic. The RS6 is more of a mystery because its sibling, the RS7 Sportback, hasn't been revealed yet. Early rumors pointed towards a hybrid drivetrain with over 700 hp but the latest rumors suggest a 4.0-liter twin-turbo V8 producing a little over 600 hp. Either way, we're thrilled with the prospect of a 600 hp Audi wagon in the US. Perhaps the Avant models will make their debut next month at the 2019 New York Auto Show.